The U.S. State Department sent nearly $350,000 to an advocacy group that worked to oust Israeli Prime Minister Benjamin Netanyahu, according to a Senate report released Tuesday. OneVoice Movement, a group that supported peace negotiations between Israeli and Palestinian factions, received grants from the State Department during a 14-month period ending in November 2014, according to the Senate Permanent Subcommittee on Investigations report. 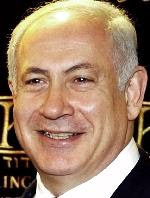 Shortly after the U.S. grants ended, OneVoice merged with an Israeli group Victory 15, which launched a political campaign in Israel with a goal to elect "anyone but Bibi," a nickname for Netanyahu. The chairman of the committee, Sen. Rob Portman, R-Ohio, claims that means that U.S. money was involved in foreign politics. "The United States should not be engaged in that kind of activity with taxpayer dollars," he said. "What it did probably was to make it even more difficult to come together after the election and continue to build on the relationship between Israel and the United States." According to the report, the State Department grants helped OneVoice build its political infrastructure, including voter contact lists and professionally trained organizers. It also included expanding social media platforms intended to support peace negotiations between Israelis and Palestinians.The Senate subcommittee said Tuesday no evidence was found that OneVoice spent the grant money to influence the 2015 Israeli election, but found in its report that "despite OneVoice's previous political activism in the 2013 Israeli election, the [State] Department failed to take any steps to guard against the risk that OneVoice could engage in political activities using State-funded grassroots campaign infrastructure after the grant period."